UNO was confirmed delisted from Xbox Live Arcade by Twitter user lifelower no later than December 30th, 2014. 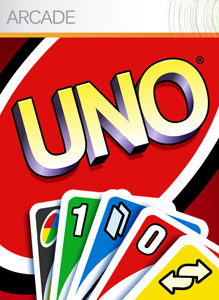 Microsoft licensed the UNO property from Hasbro in 2005/2006 and was able to keep the Xbox 360 title (and the follow up, UNO Rush) online after Electronic Arts struck their own deal with Hasbro in 2007. Ubisoft announced in August of 2014 that it was the new license holder for Hasbro properties resulting in the delisting of both UNO titles from Microsoft and most EA published titles.